DaYogis has a range of products meant for internal as well as external healing. The range consists of juices as well as personal care items like body butters, shower gels and more. 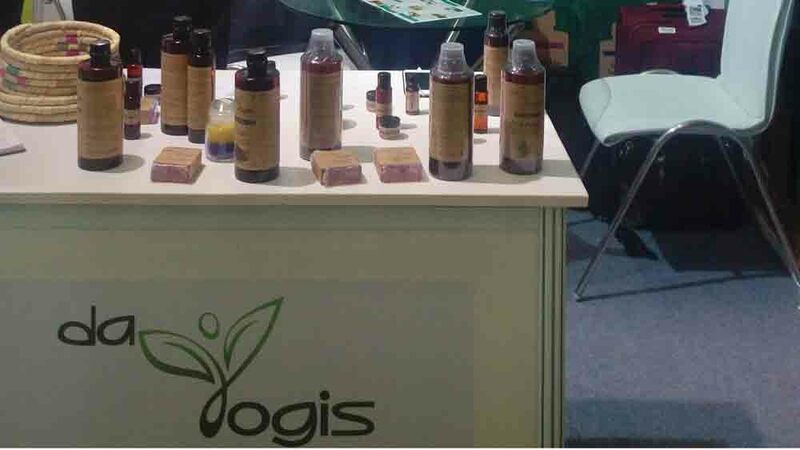 The demand for natural and organic products has seen a huge rise in the past few years in India. While Ayurveda majors like Patanjali are extending themselves to personal care and cosmetics, big personal care brands such as The Body Shop are becoming vegan and natural. But the opportunity is a bigger one. “This is a huge consumer market where brands can co-exist,” said Nilesh Dama, Founder, DaYogis, a new player in the market of natural juices and personal care products. Here are excerpts from the interview where Dama tells us about the brand, its strategies, its USP and expansion plans. Our whole concept is revolving and rotating around holistic healing, where our entire range takes care of internal as well as external healing. When I say internal healing, it’s natural juices which have high concentration levels and potency levels. We have got normal as well lifestyle juices. Lifestyle juices are our own blends which are designed and formulated by us and you’ll not get them anywhere else in the market. In external healing, we have a wide and exhaustive range of body butters, shower gels, bath salts, moisturizing creams, lip lotions, bath lotions and more. In essential oils, we’ve got the most expensive brands. They are natural and therapeutic. Our formulation was done in March 2016. Before that, we were fairly active in the B2B space and it’s now that we have launched the brand and we intend to reach the Indian consumer. How many products do you have in your kitty? We’ve got more than 350 SKUs and they are increasing every day. Are you looking at having your own selling points? If your question is related to retail, yes. But our brand is placed into a very premium segment. So where the point of sales is being placed is very important for us. The location, the kind of clientele in that location matters. Are you looking at franchisees or distributors? As of now, we are looking at people who have their own distribution channels and sales force. We have got a few franchisee enquiries, but we have to be very sure of who we are giving out our franchise to. We are open to franchising also. Our most primary criteria for getting a franchisee is location. In the market, there are brands which are providing a bit of this and a bit of that. We are probably the only solution providers who promise both internal and external healing because we’ve got a range of juices which are natural and at the same time we are also giving you cosmetics and personal care products. In that sense, our range of products is exhaustive plus we do not get into a volume business. In that sense, our quality is controlled. What gets you into the wellness sector? As a person I have always been interested in fragrances and flavours. That’s how we got into this. Secondly, we have a background of procurement where we are wholesalers. We are close to the agro industry. Plus, we saw that there’s a niche market that wants products like these. For example, we are doing pretty well in the hospitality industry. A lot of wellness resorts are buying products from us. Where are you seeing DaYogis in the next five years? We are seeing it as a company which is internationally recognized for our basic principle, which is zero footprints. We are not doing anything on paper, but everything digitally. Have you planned strategies to cater to the competition from brands like The Body Shop? As the founder, I don’t think I’m competing with anyone. That’s my basic belief. Body Shop are in their own zone, I’m in my own. India is a huge consumer market and brands can co-exist. Everybody can survive. Your customers will like you, mine will like me. Secondly, we strongly focus on the product quality. We do not try to do gimmicks. We are not marketing guys, we are production people. We’ll be candid about our products, we’ll tell the customer what the product has and what it does not have. I cannot tell you how I’m different from Body Shop. But I can be sure that once you try our product, you will come back to us. My product is my differentiator. 'Aim 50 Ayurvita India centres, 25 abroad by 2020'..